As a teenager, I was mad for brunch, that late morning meal, usually on a Sunday, spent lingering indulgently at a restaurant table with friends or siblings, often after a night of debauchery. One of the lures, naturally, was the idea of yet more alcohol served at the ungodly hour of noon and meant to level the hangover you inevitably brought into the dining room. 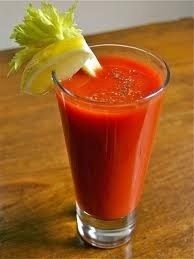 A thick and spicy, potent Bloody Mary laced with horseradish and garnished with a crunchy celery spear was for some. More delicate sophisticates opted for a Mimosa (Champagne poured over fresh orange juice) or in later years, after its invention in Italy, a Bellini (the Italian sparkling wine, Prosecco, over peach puree), both served in tall crystal flutes. The menu items at virtually every eatery were similar, with minor touches of inventiveness at some. There were egg preparations, such as fluffy omelets filled with everything (depending on the era or moment in time) from goat cheese and sun dried tomatoes to cheddar and sautéed apples. 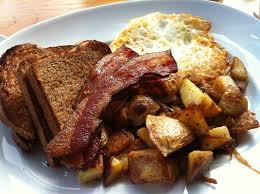 Or one could have “eggs any style” with toast, fruit preserves and chunky home fries laced with onions and peppers or crisped shredded hash browns. French toast made with brioche or challah breads and pancakes or waffles with “real” maple syrup, served with smoky bacon or sausage links and fresh fruit, were good picks for those who liked a little sweet with their savory. 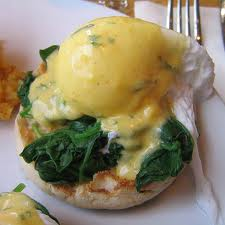 Most popular, however, were eggs poached and served on toasted, buttered English muffins. The original incarnation was Eggs Benedict. The golden muffin halves were topped with ham or bacon, tender eggs, and finished with a thick layer of lemony hollandaise sauce. Other varieties were Florentine, where sautéed spinach filled in for the ham, and Scandinavian style, which meant sliced smoked salmon made an appearance. All were rich, gooey, and seemed more exotic than scrambled eggs or over easy. 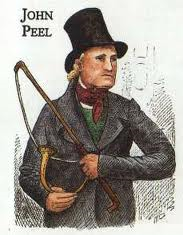 My sister, Janet, and I have fond memories (now somewhat dimmed by the passing of time) of her driving us out to Long Island with a friend or two to a large hotel with a restaurant called the John Peel Room, named after the English huntsman of hare and foxes who died, probably from a fall from his horse, in 1854. I must have been about thirteen or fourteen, and Janet three years older, when we first entered the formal dining room. There was a harp player in one corner, sitting on a tufted red leather stool. She sported a long velvet skirt and puffy white pleated shirt, her hair swept up neatly into a tight bun, perhaps covered in a knitted snood which was all the rage at one point in the sixties and early seventies. To us, at that age, the whole experience was very grown up and smacked of class. The round tables were fitted with starched tablecloths and the napkins were linen. The cutlery was heavy and the water served in big goblets. When the menus were passed around, we leaned back and took a long look at the offerings, knowing full well we were going to end up sharing the immense, puffy apple pancake that was a specialty of the house and which took up an entire dinner plate, its crisped edges dipping over the rim. We couldn’t order cocktails, but we thought it cultivated enough to order cup after cup of hot coffee which arrived in a large, ornate silver urn. Eventually, I’d be jittery and could feel my heart pounding in my chest, but there was no way I’d embarrass myself by ordering the only decaf coffee available in those days, a bitter, watery substitute called Sanka, which came in orange foil-lined packets. 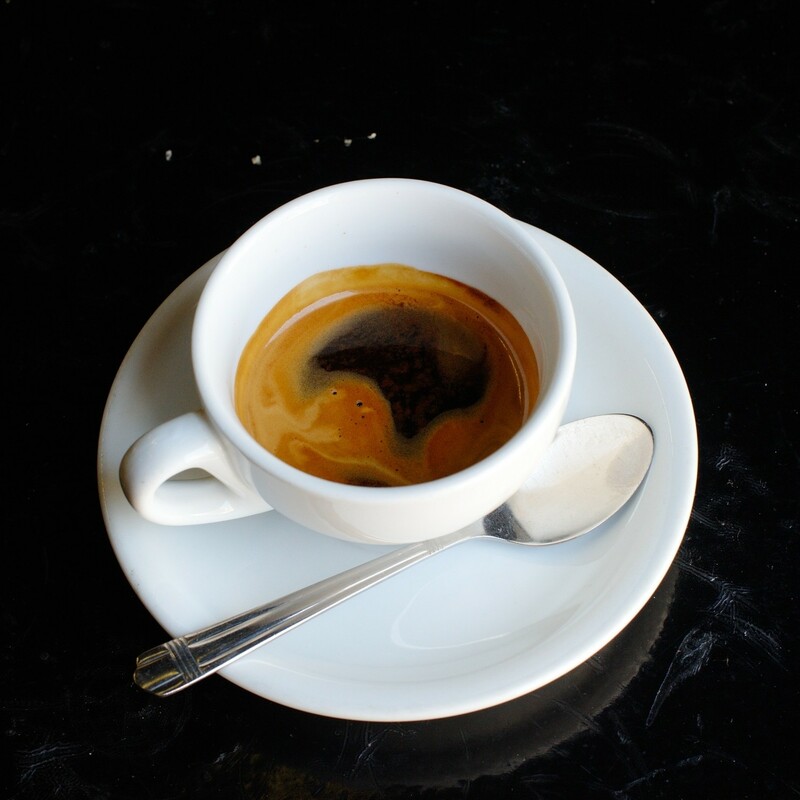 I continued to brunch well into the eighties and mid-nineties at lots of different venues, then something changed and I began to find the experience and the food a little cloying and precious. Plus, it seemed that the quality had gone downhill. 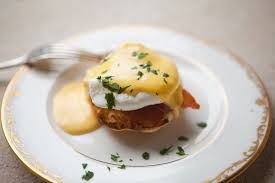 The hollandaise sauce had become gloppy; the alcohol content in the drinks minimal; the omelets too thick and dry, with little filling; and the noise level of shrill voices and piped-in music unbearable. I dropped out of the brunch scene and never looked back. That is until early February of this year. 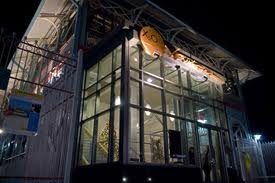 A business client of Janet’s had taken her to dinner in Yonkers at Xaviar’s X20, the latest addition to Restaurateur Peter X. Kelly’s critically acclaimed restaurants in the Hudson Valley. X20 sits in the water on the only turn of the century Victorian pier still in use on the Hudson River. 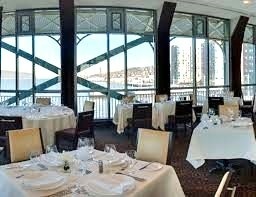 The “main dining salon,” as it is called on its website, has a 25 foot vaulted ceiling and three walls of glass that offer views of the George Washington and Tappan Zee bridges, as well as sunsets over the Palisades. Janet was impressed by the room and the food, as well as the fact that the sound level was conducive to conversation. The meal, however, was quite expensive and out of our current league. Her dining companion mentioned that the restaurant has a price fixed Sunday brunch for $40 with unlimited champagne, breads, two savory courses (appetizer and entrée), one dessert, and four passed hors d’oeuvres. We had never properly celebrated Janet’s December birthday, and she suggested I take a look at the menu and see if I might like to go there while we were around on weekends, now that our house upstate is closed until April. To my surprise, the menu had literally only one brunch-like sounding dish, which consisted of poached eggs with creamed spinach, crabmeat hollandaise and haricot vert. Many offerings appealed to both of us, so we made reservations and headed to Yonkers on a brisk but sunny day to arrive at X20 by noon, the bewitching hour which allows the bubbly to flow in the state of New York. 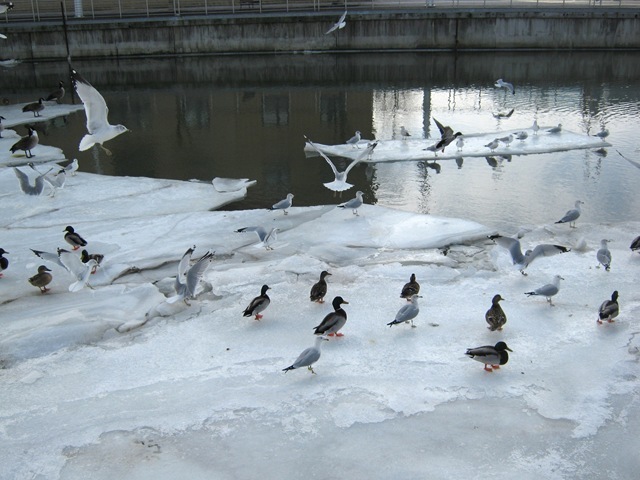 We parked the car within view of the restaurant and made our way there through the slushy, snow covered streets, stopping to gaze down at the Hudson River where ducks and seagulls had congregated by the edge of the water and on ice floes. The restaurant seemed to be rising from the water and its massive glass walls were impressive. The first thing I noticed as we approached the reservation desk was a glass candy canister filled with large shards of toffee studded with nuts. I elbowed Janet, who loves this confection, and realized she’d already taken note. “On our way out,” she said, lightly touching the pair of tongs that were sitting next to the jar. The dining room was spacious and our table for two directly overlooking the water. Immediately, a waiter introduced himself and, opening the first of many bottles he would uncork during the afternoon, filled our flutes with Prosecco. We were given menus as a server brought over a tray of pumpkin bread, miniature French baguettes and blueberry muffins. We both opted for the tea bread, but found it overly sweet. Soon enough I was able to flag down the same guy and get us each a baguette. As is our habit, we decided to split each course, enabling us to try more dishes. While we looked over the menu, a hostess greeted us and told us the specials of the day, each of which happened to include seafood. An appetizer of seared scallops on parsnip puree sounded good, as did the tuna tataki and baby spinach starter off the menu. For our main courses we chose roast loin of Berkshire pork and pan seared Atlantic Cod. Just as the woman walked away, our waiter returned to fill our glasses with Prosecco as a server brought over the first of the passed dishes, which was an ample-sized homemade mushroom ravioli, deeply flavored with dried porcini. One thing I noticed about the service during our long stay was that though the staff was properly trained to be gracious and solicitous, I found everyone to be almost like automatons. Their behavior was practiced and forced, not natural. And you could tell the proceedings were so rote to them that they could perform each of their duties in their sleep. Indeed, most of them quite clearly would’ve liked to be back in bed rather than bustling around the huge room serving people guzzling champagne and dropping forty bucks on brunch. I tried not to let that aspect of the experience get in my way, as we were brought our first courses. The enormous diver scallop was perfectly cooked, golden outside and tender and juicy inside. The parsnip puree on which it nestled was creamy and delicious. The tuna appetizer was extraordinary. On a large bed of raw baby spinach in a citrusy “crushed onion and sesame dressing,” were a half dozen slices of seared tuna scattered with delicate Japanese enoki mushrooms. The salad was sprightly and a good foil to the richness of the scallop dish, as well as the baby lamb chop drizzled with Chinese hoisin sauce that was brought round as our dishes were cleared. We had yet to be served our entrees, but were beginning to feel slightly full. Not long after, large coconut shrimp with spicy wasabi mayonnaise were delivered. A few years ago Janet discovered an allergy to shrimp, but she thoughtfully accepted one on my behalf. Ultimately, I took only a small bite of it because the first one was so rich I thought I might faint. And I needed to leave room for the pork and cod, which were presently set down before us, just as our glasses were topped with Prosecco. The Atlantic cod sat in a light chive-flecked butter sauce and was topped with Yukon gold potato chunks and strips of roasted sweet red and yellow bell pepper. 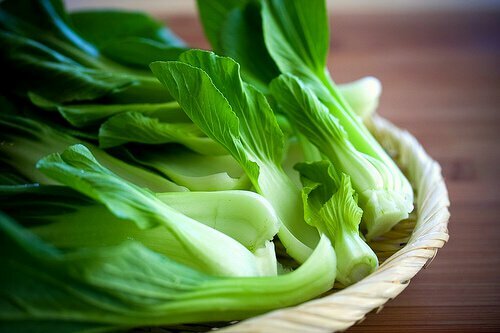 On the side was simply prepared baby bok choy. Janet and I were not bowled over by the mildly flavored fish, but couldn’t get enough of the loin of pork in a rich brown sauce served on a thick bed of soft white polenta studded with corn kernels. Alongside the pork was a pile of charred, halved Brussels sprouts that were out of this world. At this point, the crispy tuna maki roll that yet another server delivered, though tasty, was overkill. Thankfully, it marked the end of the passed hors d’oeuvres. We still had dessert to go. Janet had chosen warm apple and cranberry cobbler with vanilla ice cream and I a caramel flan with fresh fruit. We decided to splurge on espresso, rather than the coffee that was part of the price fixed meal, and it was worth it to have that deep bitter elixir to combat the ultra-sweet, cloying desserts. It occurred to me that the pastry chef at X20 had a very heavy hand when it came to doling out the sugar, too much for us anyway. 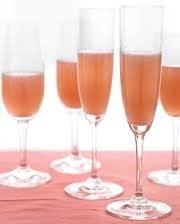 We lingered over a last glass of bubbly, then slowly made our way back to the reception area to collect our coats. Though stuffed to the proverbial gills, we couldn’t help ourselves from digging into the toffee jar to take a few pieces for the road. As we headed home we remarked on what a special experience the first brunch we’d had in probably over a dozen years had been. We both felt a little sick. I fished in my bag and handed Janet an antacid, taking one myself. Perhaps in a year or two I’ll be ready to indulge in brunch again. Or maybe not. Course ground semolina flour can be found in many supermarkets (Bob’s Red Mill is a popular brand, also carried at Walmart). Do not substitute durum flour, which is much more finely ground. This dish works well for brunch, along with a green salad of arugula, radicchio, and endive or with a fresh fruit salad. Whisk together milk, semolina, and salt in a 2-quart heavy saucepan and bring to a boil over moderate heat, whisking continually. When mixture begins to thicken, swap whisk for a wooden spoon and stir constantly until very stiff, 5 to 8 minutes. Remove pan from heat and stir in 2 tablespoons of the melted butter and ¾ cup Parmigiano-Reggiano. Beat in egg. Spread gnocchi mixture onto a lightly oiled rimmed baking sheet and smooth with a spatula. Chill in the refrigerator, uncovered, until very firm, at least an hour. Preheat oven to 375 degrees. Using a 2-inch round cookie cutter or a juice glass, cut mixture into rounds and arrange, slightly overlapping, in a baking dish that has been brushed liberally with some of the melted butter. Dip the cookie cutter or juice glass in warm water to prevent mixture from sticking. Brush gnocchi with remaining melted butter. Sprinkle with remaining ¼ cup Parmigiano-Reggiano. Sprinkle rosemary evenly over gnocchi. 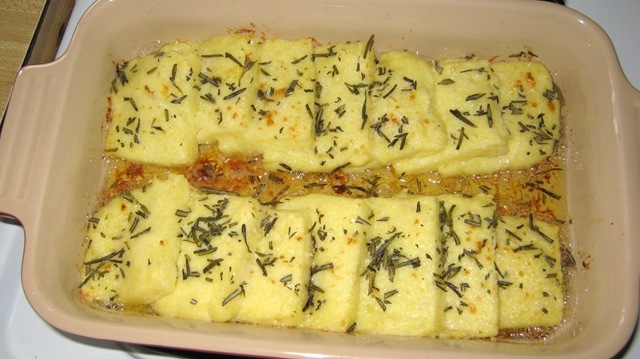 Bake for 15 to 20 minutes, until gnocchi are a little crisp on top and beginning to color. Serve immediately.